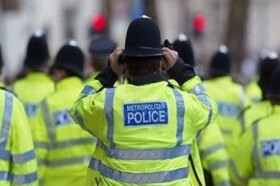 The Missing Blog: Will missing people be the poor relation after police funding cuts? Will missing people be the poor relation after police funding cuts? As the new financial year dawns, we should soon start to see the real impact of the cuts to police funding announced by the Home Office last year. funding for police is to reduce by a fifth over the four years, starting with a six per cent reduction this financial year. Hardly a week has passed over the last few months without debate over how these cuts can be managed and to what effect. How much room is there to make efficiency savings? How many jobs will be lost? Where will they be lost? If there is any such thing as the ‘front line’ – how much will it bear the brunt of the cuts? There are many demands on police resources. Solving crime, ensuring our security, reducing crime and disorder, preventing harm and protecting vulnerable people are all competing for a slice of a diminishing pie. Some police functions may have to be sacrificed to maintain service in these key areas. No longer accepting reports of lost property is one such function jettisoned by West Midlands Police this week. So what does this mean for the police response to missing persons? Will we start to see police forces turning away worried relatives of a missing person? Will we return to the days of a tacit ‘call us tomorrow if he hasn’t come home’ initial response? Will the available resource start to determine the level of risk for a missing person, rather than the other way round? Will the dogs, divers and helicopters be deployed only in the most acute situations? These are important questions, not least for relatives of missing people. If your car is stolen or your house is burgled, then in most cases you will, with time, move on. If someone dear to you goes missing, our experience is that very often you will not. Relatives need to know that everything that possibly could be done is being done to find their missing loved one. Uncertainty about the police response leads families to start undertaking enquiries themselves and erodes trust and confidence in the police. Recent ACPO guidance, published at the end of 2010, doesn’t appear to be battening down the hatches for a reduction in what the public can expect. The guidance affirms: “Missing person investigations should be regarded as a high-risk area of policing and given appropriate levels of priority and resource”. If resources are insufficient to sustain existing levels of response to missing incidents, then we need to have an open debate about what can be expected and of whom. We will also need to be alert to opportunities to increase effectiveness with fewer resources. Can the search for missing people be improved by investing in new technologies? Can savings be made by streamlining publicity for missing people, and by making better use of Missing People’s services? There is already strong evidence that improved data collection, analysis and inter-agency working can relieve the burden of missing person incidents on police forces. As we enter a new funding era, Missing People will continue to campaign for the resources to ensure the optimum response to missing people. Indeed and if the NPIA Missing Persons Bureau is abolished who will take ownership of the Unidentified Database? Yes, this is a real concern. Most missing person incidents are responded to and resolved locally, without the need for forces to contact central agencies, such as the Missing Persons Bureau. However, thousands of people remain missing for longer than a few weeks, and in these cases it is imperative that records are available for checking against the database of unidentified bodies. This needs to happen at a national, and indeed international, level to ensure that families are not left in limbo when, in fact, the body of their missing relatives has been discovered. It is imperative that Government protects these vital central police functions in order that missing incidents are resolved quickly and relatives' suffering is not unnecessarily prolonged. We (families of the missing)won't get what we want unless we demand it. I absolutely agree - it seems the USA is leading the way in this area.